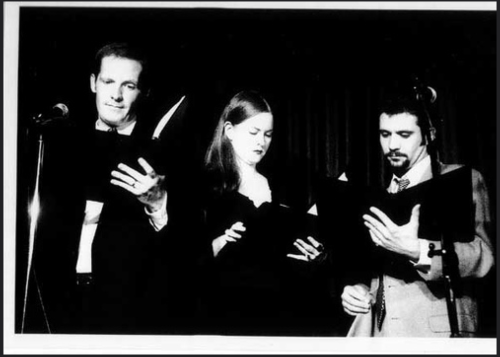 A little throwback to one of our earliest shows at M Bar–this was probably May/June 2005–of Marc Evan Jackson with Amy Seeley and Mark Gagliardi. See MEJ and the WorkJuice Players and friends on April 22nd at Sparks Nevada’s “I’m From Earth” Day Special at Largo, LA. Late show added!